“People ask me all the time about my favorite part of the fair … it’s tradition. 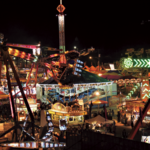 I want our kids and their kids to be able to continue the tradition of going to the fair,” said Chris Giordano, who has been president and general manager since 2006, following his father, Sam Giordano. “Upon receiving the award notification, I was completely shocked and humbled,” said SOBO owner Jamie Lopez. 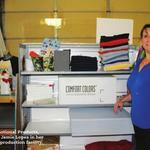 “While I put my heart and soul into building our business, it's not done for accolades. Rather, I strive to make a difference in the lives of our clients, those in our community, as well as our employees. 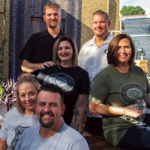 Flying Heart Brewing & Pub is a craft brewery and restaurant that manufactures craft beer recipes on site, as well as root beer and ginger beer. There is seating capacity for 275 people, including inside as well as a covered beer garden in the newly renovated downtown Bossier City. Maxim Watermakers designs, engineers and manufactures water treatment equipment, specializing in distillation and membrane technologies. Maxim has 70-plus years of experience working with clients to provide solutions for waterrelated needs, both onshore and offshore. 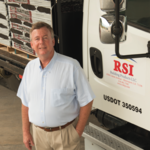 For Sayres, winning this award means “knowing that a lot of the things you try to do throughout the years finally worked, and they’re able to make a difference not only seen by our employees but our customers and the community,” he said. “It’s a great honor to have that. 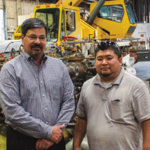 These businesses were nominated under specific guidelines as defined by the Small Business Administration. They must be a service business and/or retailer with annual revenues of $3.5 million or less, a manufacturer with fewer than 500 employees or a wholesaler employing fewer than 100 workers. 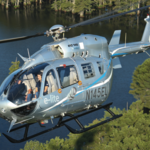 “Metro Aviation is one of our city’s hidden gems,” said Dr. Timothy Magner, president of the Chamber. 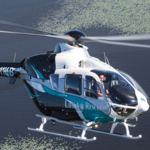 “They are the largest air medical completion center not just in Louisiana, not just in the U. S., but in the world as well as the largest traditional air medical provider. 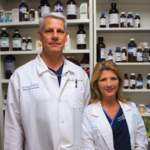 Pharmacists Doug Boudreaux and his wife, Jennifer, of Boudreaux s Compounding Pharmacy had to overcome a seemingly impossible 30-day deadline to apply for the licensure to be a provider of the now-legal oil form of medicinal marijuana for this region. They will be able to provide this drug for hospice and oncology patients through their new business, Hope Pharmacy, LLC, at 1410 Kings Hwy. House Bill 579 is waiting for the governor to sign, adding glaucoma, PTSD and Parkinson s as well as other debilitating health issues to the list of what can be treated. 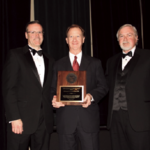 For a behind-the-scenes guy who doesn’t like a lot of fuss, Edward J. Crawford III has made a huge impact on lives in north Louisiana, so it came as little surprise to some of his colleagues when he was named Business Leader of 2018 by the Greater Shreveport Chamber of Commerce. But experts say that while local unemployment is at an all-time low (around 4.6 percent), those higher-end jobs are not the only ones out there, and some employers are almost desperate to fill all kinds of positions with quality workers and general laborers who are trainable and reliable.